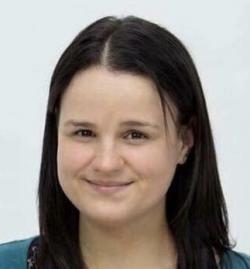 The death occurred at the QE11 Hospital, Halifax, Nova Scotia, on Tuesday, November 13, 2018, of Jessica Anne Meredith, of Halifax and formerly of Alberton, age 32 years. Beloved daughter of Annette McRae of Ellerslie, her sister Erin (Cory Taylor) of Lower Sackville, N.S., and brother Curtis DesRoches of Black Diamond, Alberta. Loving aunt of Landon and Jaxson Taylor. She is also survived by her uncles and aunts, Ivan McRae of Tignish, Noelle McRae of Tignish, Ann (David) McIsaac of Enmore, Donna (Greg) Grant of Tyne Valley, Gerald (Cecilia) McRae of Big Island, N.S., Earl McRae of Tignish, Elmer (Sandra) McRae of Halifax, N.S., and Ernest McRae of Tignish. She will be sadly missed by her many nieces, nephews, friends and acquaintances. She was predeceased by grandparents, Edward and Stella McRae, uncle, Roy McRae and aunt, Frances (late Gerald) Pickle. Jessica graduated from UPEI with a nursing degree in 2009. After nursing in a hospital enviroment for several years, Jessica joined the Victoria Order of Nursing (Halifax), where she enjoyed providing care to people within their homes. Resting at the Rooney Funeral Home & Chapel, Alberton. Private family service to be held.